Does the Military cover Chiropractic Care? Chiropractic works by restoring your own body's inborn ability to be healthy without the use of drugs or surgery. When under the proper control of your nervous system, all the cells, tissues, and organs of your body are designed to resist disease and ill health. The chiropractic approach to better health is to locate and help remove interference to your nervous system, the master control system in your body. A very common source of interference to your nervous system is the 24 movable bones in your spinal column. A loss of motion or malposition of the bones can irritate or pinch the nervous system. This can disrupt the transmission of vital nerve impulses traveling throughout your body. This is very much like a kink disrupting or stopping the flow of water through a garden hose. With improved spinal function, there is often improved nervous system function. Our chiropractic doctors can locate and eliminate the nervous interference that may be making you sick, thus sapping your body of vital nerve energy. Q: What type of education do Chiropractors have? Today's doctor of chiropractic is well educated, typically completing 4 years of undergraduate college and 4 years of Chiropractic College. The science of chiropractic requires special emphasis on anatomy, physiology, pathology, biomechanics, neurology, x-ray, and many different spinal adjusting techniques. The demanding curriculum prepares chiropractic doctors to locate the nerve interference and correct it. To graduate with a Doctor of Chiropractic degree, each candidate must pass a number of demanding National Board Examinations plus State Board Exams. Each doctor is then required by the state to attend yearly continuing education courses to stay current on the latest scientific research. Most patients find that periodic chiropractic checkups help keep them in tip-top shape. Those who are active, have stressful jobs, or want to be their very best, find a schedule of preventative visits are helpful in the maintenance of good health. Some patients seek chiropractic care only when their aches or pains become unbearable. While this style of "crisis management" is usually more costly and time consuming, our office stands ready to help all patients, regardless of their health goals. How long you decide to benefit from chiropractic care is always up to you. Chiropractic has an excellent safety record. It is the result of a conservative approach to health that avoids invasive procedures or addictive drugs. A thorough history and examination, including x-ray analysis, help reveal areas of the spine that may be causing nervous system malfunction. This information will be used to determine the best course of care for each patient. A variety of low force, high velocity, techniques are used to help adjust spinal bones back to their normal position. Q: How do I know if I need Chiropractic Care? If you have a spine, then you may need chiropractic care. Everyone from the newborn to the 90 year old should have their spine regularly checked for the presence of spinal misalignments, or subluxations. Think of it like having your teeth checked on a regular basis. Q: What is a Spinal Subluxation? A spinal subluxation is a condition, which occurs when one of the 24 moveable bones in the spine becomes misaligned with the bone above or below it, to the extent that it interferes with the spinal nerve and causes a loss in normal nerve function. Q: How do I get a Subluxation? Most common causes of spinal subluxations are due to physical trauma such as slips and falls, sports injuries, auto accidents, and work injuries. These injuries can occur to anyone, anywhere. Emotional stress such as job, family, and financial worries can cause subluxations as well. As we experience more and more pressure our muscles (especially those across the shoulders, neck, and lower back), we begin to get more and more tense. These tense muscles then begin to pull at the bones of the spine causing them to get stuck out of position, leading to a subluxation. Q: What's a pinched nerve? Many people hear the term pinched nerve used to describe a pain in the neck or lower back. A pinched nerve is really a simple way of describing what can happen when the bones of the spine become subluxated. A soft disk material made mostly of cartilage and water separates the bones of our spine. The disks are vitally important in maintaining space between the 24 bones of the spine. Disks also help increase our range of motion, and help us absorb the daily shock our spines encounter. When disks become unhealthy they tend to dry out and become thin. When a disk thins, it tends to squish out the sides like the filling of a jelly doughnut. So as you can see, the disk itself does not slip out of place, it actually bulges out of place. Regardless of the terminology, it is a very serious situation. A bulging disk causes pain by pressing on a spinal nerve in the affected area. Chiropractic can help greatly by restoring balance to the spine and relieving pressure put on the nerve by a bulging disk. Q: Does the military cover chiropractic care? In some instances, the Military will cover a brief stint of chiropratic care if you have been referred by a military medical doctor. However, Tricare in and of itself does NOT pay for chiropractic care. At Casacade Chiropractic and Massage, we strive to make regular chiropractic care as affordable as possible to people in the military. That is why we offer regular chiropractic treatments to active duty members of the military for $15. If you are no longer active, or if you are a dependent of someone in the military, we offer a discounted rate of $40 at the time of service. If you do not see your health insurance plan listed here, we may still be able to bill your insurance. We also have a number of cash payment plans to make your chiropractic care as affordable as possible. If you have any further questions about your health insurance and whether we can accept it, please call (253) 472-2225 and ask to speak with Lorie. Chiropractic care costs depend on your situation. If you are a member of one of the insurance plans above, it depends upon your deductible, copay, and other factors. If you have been involved in an auto accident, your auto insurance may cover chiropractic care. If you have been involved in a work injury and you have a claim number with L&I, you may be able to receive chiropractic care through L&I. For further questions regarding cost of care, please call (253) 472-2225 and we will do our best to answer any questions you may have. 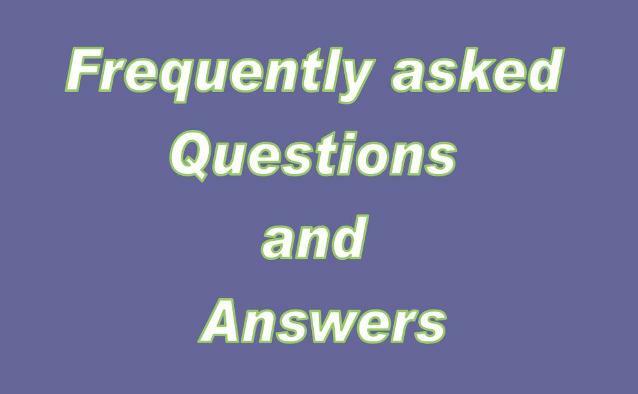 If you have any further questions, please feel free to call (253) 472-BACK to speak with one of the doctors.